This Red Wool Dress and Poncho Type wrap as seen in Social & Personal are a very popular outfit specially for this Festive Season. They are available in three shades of Red, and the Hot Favourite this season being Ruby Red. They are also available in a wide range of other colours in both Marino Wool and Wool Crepe. Clients are buying this style also in full length in the Red Ruby for the Christmas season and some contemporary Mother of the Bride are buying this full length to celebrate this festive season in style. 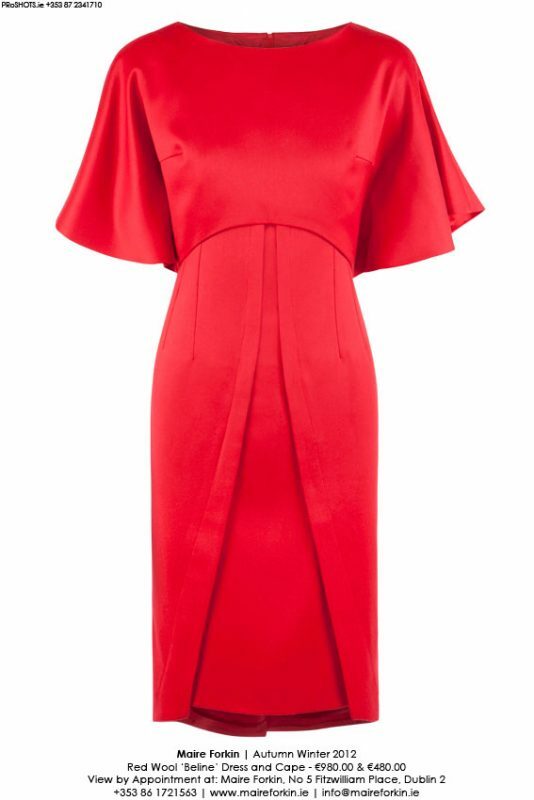 Be it Mother of the Bride or Guest at Wedding or a Christmas Party, this Dress and and Poncho are invesment pieces are are made to order, and customised to body measurements. For Personal Enquiries: Please contact Maire at her studio at No 5. Fitzwilliam Place, Dublin 2.